John Kammerer is a Seattle-based music producer, sound designer, audio engineer and computer musician. He earned his MM in French horn performance from the University of South Carolina, where he studied with JD Shaw. While at USC, his main focus was music for horn that utilizes electronics, machine learning, and human-computer interaction. 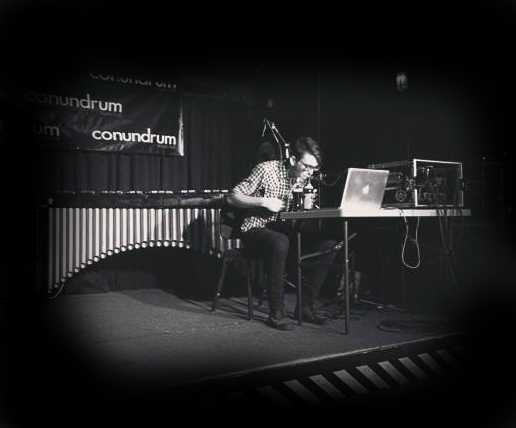 From 2013 to 2017 John acted as artistic director of the ebb:flow music collective, an experimental new music ensemble dedicated to interdisciplinary artistic collaboration. During his time at USC, he had the opportunity to serve as both Vice President and President on the board of CICA (Collaborations In Contemporary Art), an organization focused on bringing music, art, video and dance to USC students and the Columbia community. From 2015 - 2016, John toured the country with the Santa Clara Vanguard, a world-renowned Drum and Bugle Corps, as their sound designer and live audio engineer. Since his work with SCV, John has been in high demand as a sound designer and audio engineer/technician for award-winning high school marching bands and indoor ensembles nationwide, and regularly travels to work with high school students and ensembles as an electronic audio consultant. John’s musical interests reside primarily within the realm of electronic ambient, IDM, and computer music with an emphasis on education, experimental performance techniques, and the endlessly enjoyable rabbit-hole that is modular synthesis. Email at jdksounddesign@gmail.com, or fill out the form below and I'll get back to you soon!